I completed Granny’s Clothespin Apron last week. (It appears in the upper-right corner of the book’s cover image.) Like I said in this post, I needed a catchall for clothespins because Das Baby’s cloth-diaper covers need to be line-dried. The final product is really cute and highly functional. This is most important. 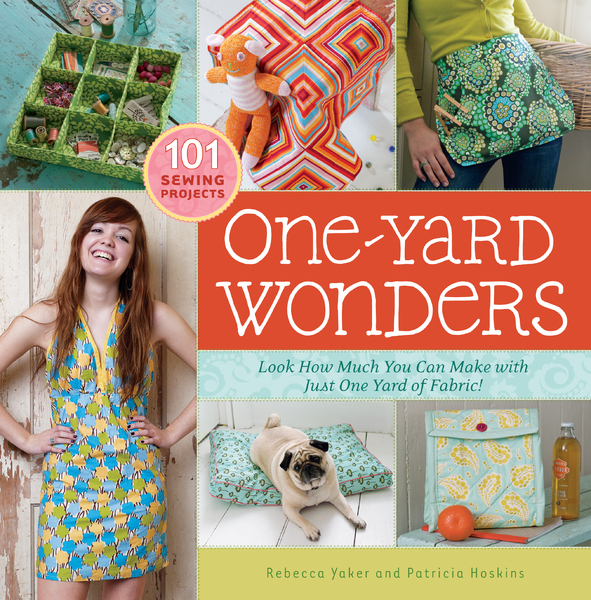 The apron uses most of a yard of fabric. Efficient. If you’re a relatively proficient sewer, you probably could cut pieces in an hour one day and sew the apron in another hour or two later. Not super time-intensive. The apron front (right side up) and back (wrong side up). Most of the pieces (apron tie, waistband, pocket binding, and apron trim) did not have patterns but instead were assigned specific dimensions. This is fine and actually reduces the amount of cutting and pressing a sewer must do (instead of cutting pattern pieces AND the actual pieces from fabric, you just cut the fabric). 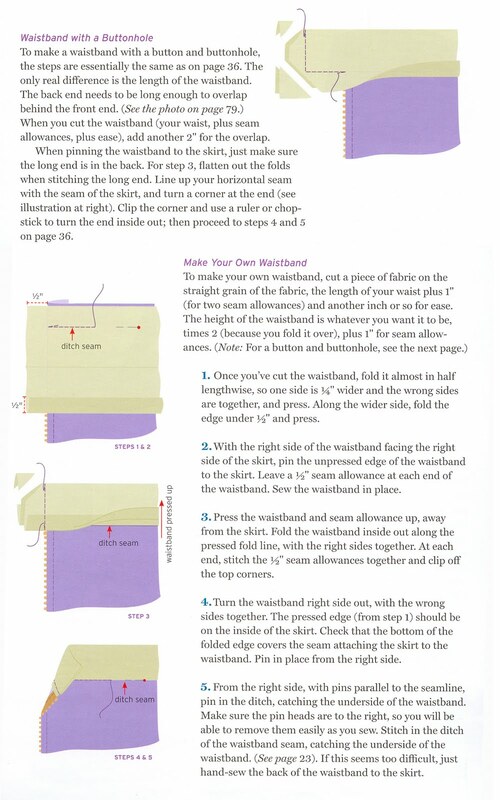 But the directions did not mention the need to snip notches in the waistband, which would have involved matching the cut fabric waistband piece to the paper apron back piece. The waistband also wasn’t long enough. Maybe I goofed when I cut the fabric, but I’m generally of the “measure twice, cut once” school, so this is kind of a head scratcher. Removing width from the ties. Per the directions, I sewed the waistband to the apron by stitching in the ditch. Unfortunately, the directions did not say how tall the waistband should be (i.e., where to fold the waistband the long way), so I guessed. The result is that the waistband is narrower than the apron ties, which explains why I needed to take width out of them (see photos immediately above and below this paragraph). The shortness of the the waistband is visible at right, where there’s a little gap between the apron body and the tie. The waistband should be flush with the right edge of the apron. To reinforce this little gap, I stitched (and backstitched) along the top edge of the gap on the apron body. The extra fullness of the ties where they join the waistband strikes me as appropriate for a retro-inspired garment.